the Austrian team has arrived in the morning, the Irish team in the afternoon, the German team in the next morning. Everzbody is well. 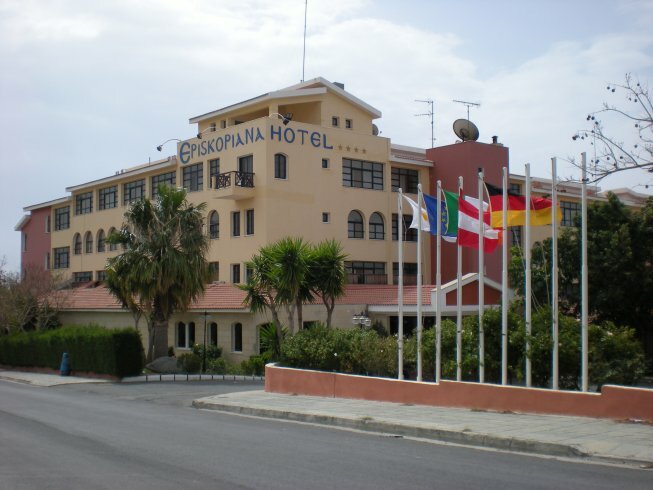 All are staying again at the Episkopiana Hotel, which makes organisation simple. Pictures are taken but the hotel internet access point offers no USB connector to upload them, so they will come later. 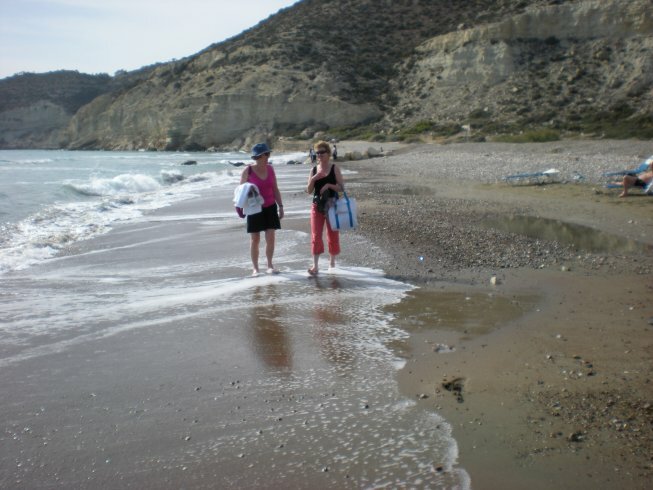 Austrian Team arrives in the early morning in Episkopi, goes to Limmasol sight-seeing. Weather not too good. Irish team arrives in the afternoon, equiped with good mood, laptops and WLAN. 11:00 MIR meeting. Schedules and thought exchange. There is a shared positive view of the ongoing project work. 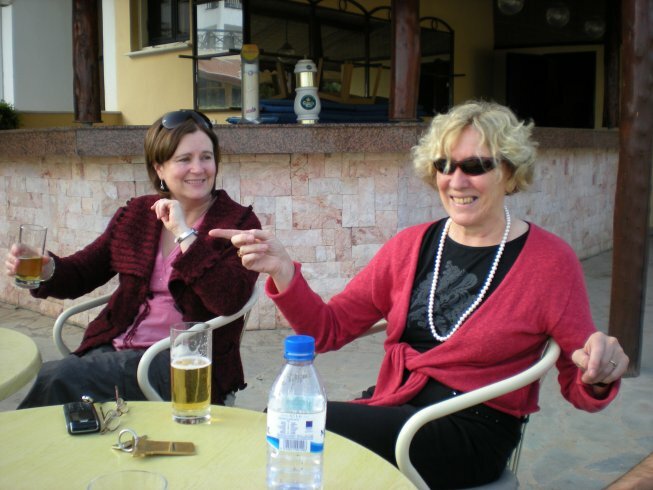 The partners are very different but each can contribute specific views and strengths. There is the realistic vision of continuing the project - discussion of the various options. 12:00 Presentation at the COOP Bank. 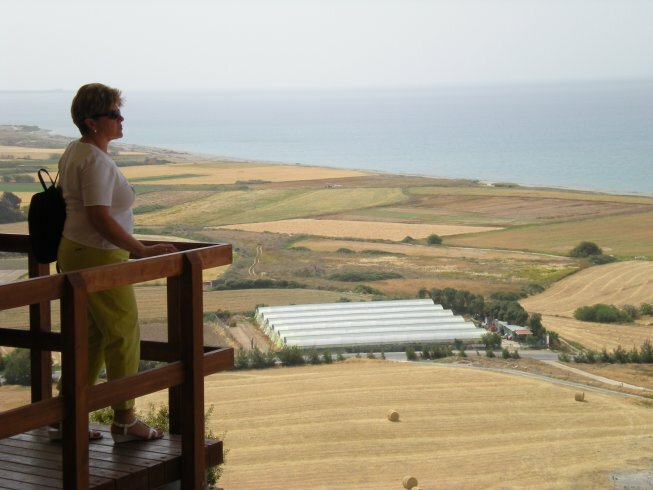 Established 1957 with headquarter Episkopi by a group of successful CYPRIOT LOCAL WORKERS. Very strong focus on local human relationsships. Supports all local events. Gives back 7% of their revenues back to the community, e. g. to charities and schools. Every customer becomes a member of the bank, the members elect the board and the president. Currently a policeman is president. People feel it is their bank. The discussion shows a lot of admiration of the other teams to this Cyprus model and the wish to have similar systems at home. For the next meeting in Ireland a meeting and thought exchange with the Irish Union Banks is planned. Later: Presentation about LLL - Life Long Learning. The EU and UNESCO concepts are presented and the Cyprus approach is explained. The need for regulations and standards is acknowledged but the Bologna process is criticized as violating cultural traditions and certain quality expectations as well. Detailed materials of important aspects and procedures are presented. The presentation will be emailed to distribute it to the interested participants. 11:00 The official MIR meeting..
Florian Heiler gives an overview for the Austrian MIR group, its special form as a network, and talks about the vision of a virtual classroom. Lizz gives an account of An Cosan, its passion for social justice , the idea that we live in each other, education for leadership in the community. Heinz Tischler draws the big picture of 27 European nations growing together and how the EU support and funds projects that lead that way. 9:00 Day trip to the mountain village of Lania. 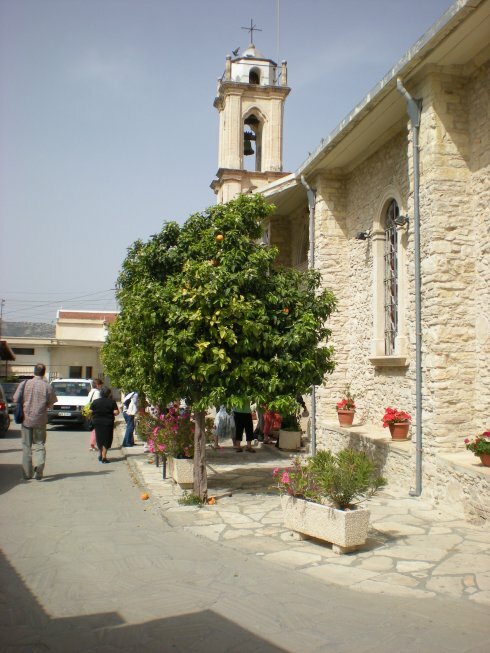 Visit of the village museum and the old church. 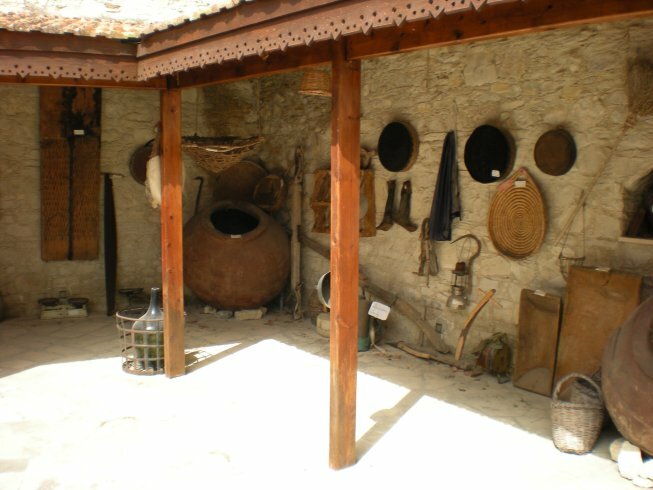 At the house of the farmer Hypocratis we taste local specialities like the wine "commanderia" and the "schuschukos" (made from almonds and thickened grape juice). 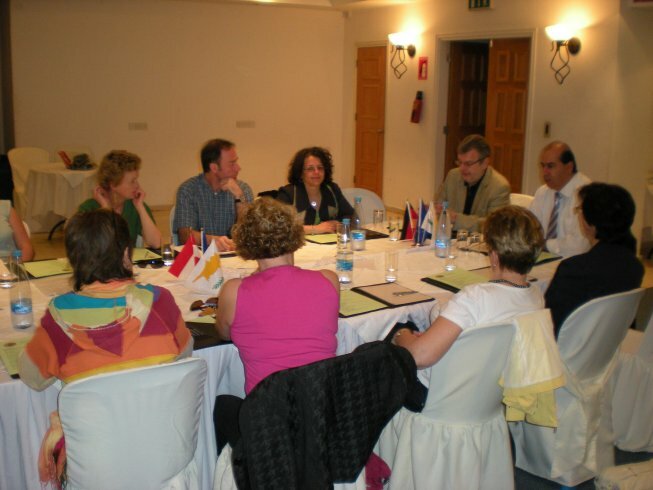 18:00 Meeting with the Episkopi community board. 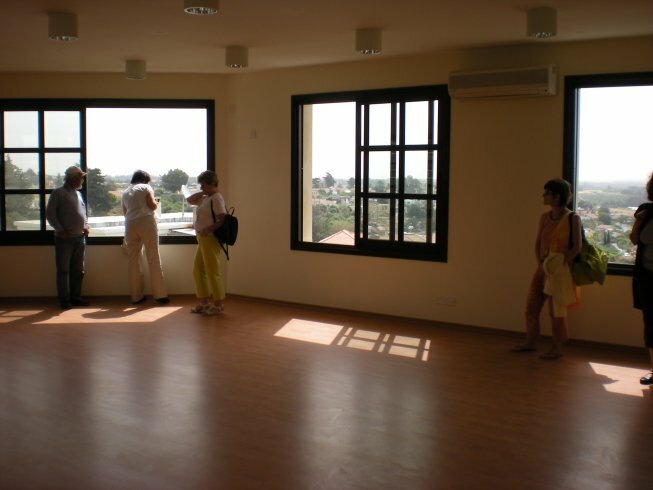 9:00 Visit of the new Episkopi Learning Center. Build with 50% EU, 35% Cyprus and 15% Episkopi funding. 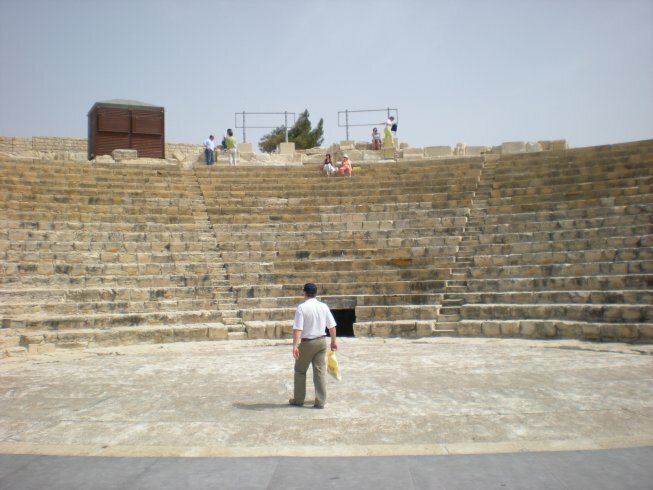 It has been finished but is missing the furniture and technical equippment. 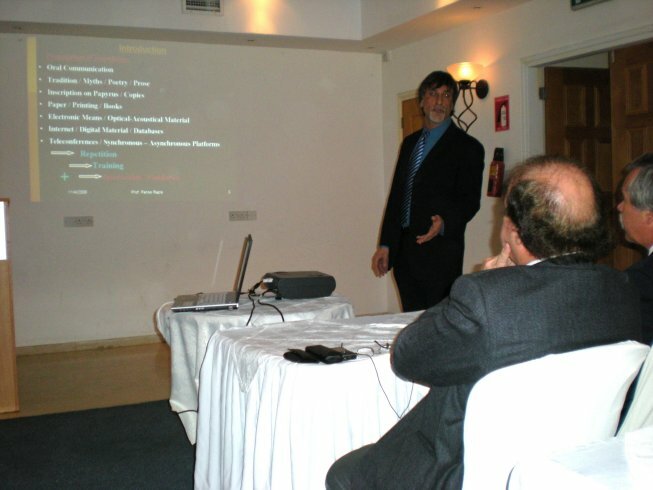 In September 2008 it will be started with regular lectures. 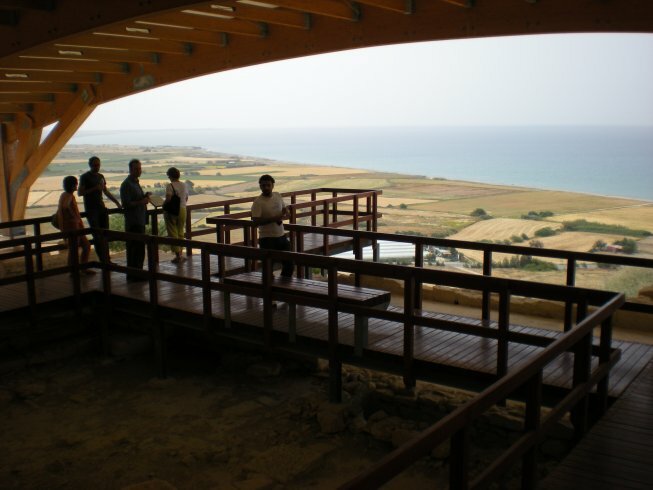 11:00 visit of the archeological site and theatre near Episkopi. 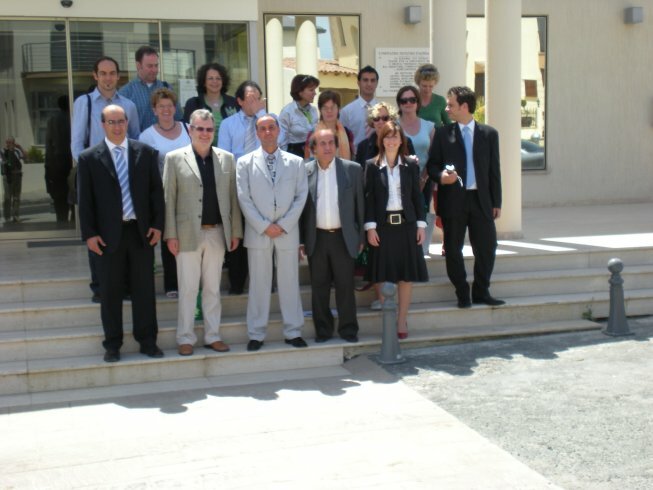 18:00 Visit of the Limassol Technical School, which has a separate branch and staff for adult classes, practicing LLL. 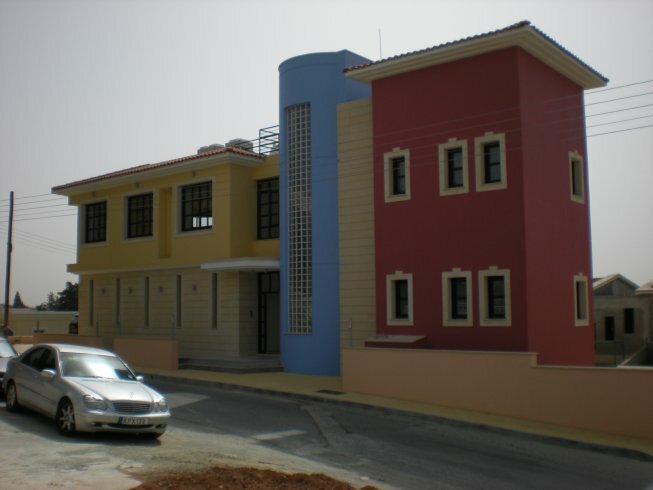 It is one of twelve Public Technical Schools in the "free area of the Republic of Cyprus". We visit classes for electrical installations, computer aided engineering, architectural drawings. 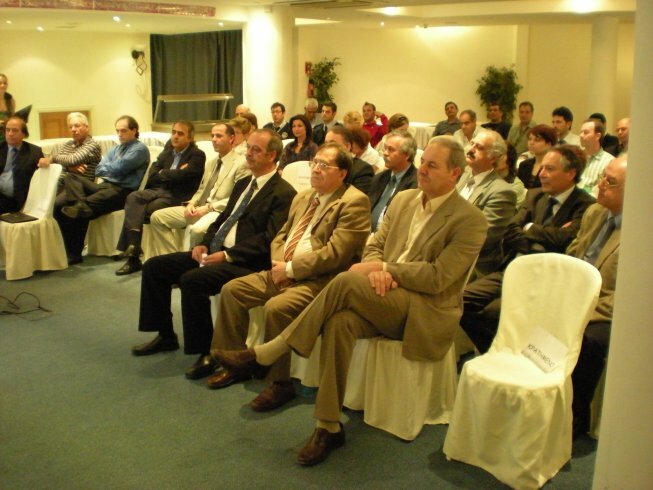 Connected to "Secondary Technical and Vocational Education in Cyprus" (TVE, STVE) based on a special committee formed in 1944, which led to an STVE directorate. 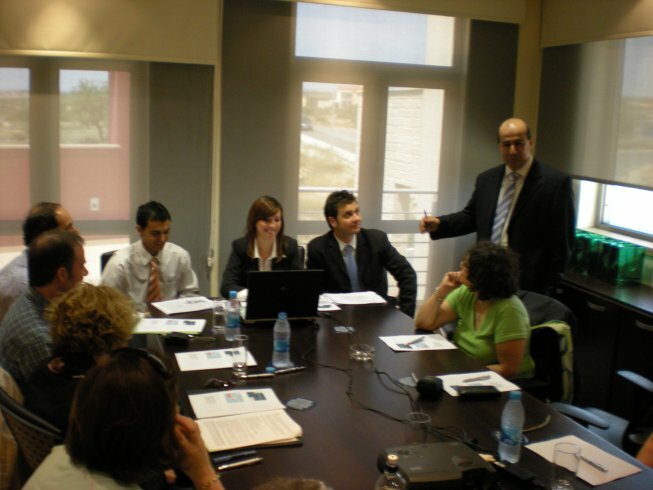 Each Technical and Vocation school maintains close cooperation with the STVE Directorate. The Afternoon and Evening Technical and Educational Programmes are currently attended by about 1300 individuals, mostly working ones. More than 80 educators and experst from industry teach these programmes on an overtime basis (numbers for Episkopi, Limassol or Cyprus ?). 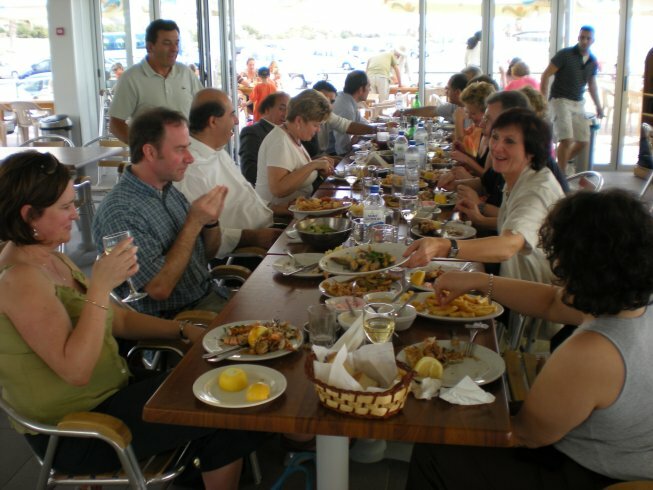 18:00 Visit of and dinner at the Limassol Tourism College. 24:00 The Austrian team departs to the airport.